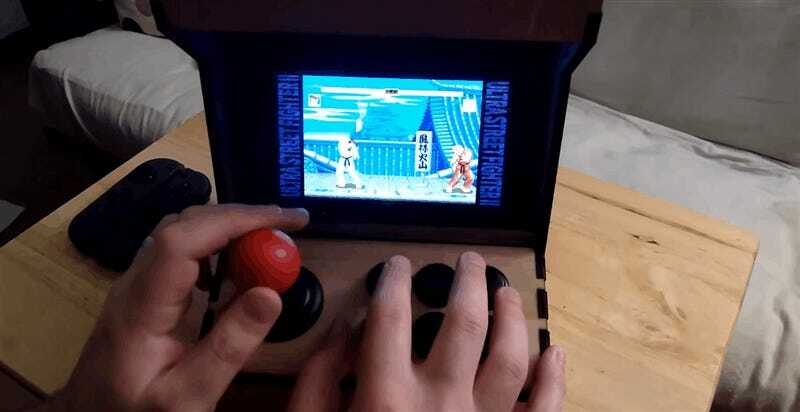 Here’s a little arcade cabinet housing for the Nintendo Switch, so you can play Street Fighter II as nature intended. We saw one of these recently that didn’t work, so here’s one that actually does. Shea Silverman made this by ripping the guts out of an 8Bitdo SNES pad, building a housing then getting that satisfying Sanwa click from a Twisted Quarter mini joystick.